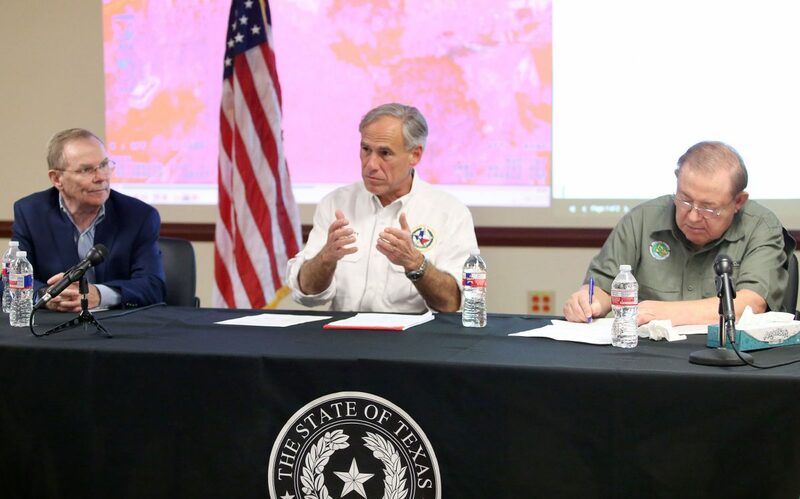 McAllen mayor Jim Darling, Governor Greg Abbott and Hidalgo County judge, Ramon Garcia during a news conference at the Hidalgo County Emergency Operations Center on Tuesday, June 26, 2018, in Edinburg. EDINBURG — Federal disaster relief for Hidalgo and Cameron counties now rests in the hands of President Donald Trump following a formal request for aid by Gov. Greg Abbott at a briefing here Tuesday morning. Ten colonias remained underwater or surrounded by floodwater as of Tuesday morning, and at least 161 people were still living in shelters throughout the region, Abbott said, calling on the president to release Federal Emergency Management Agency funds. 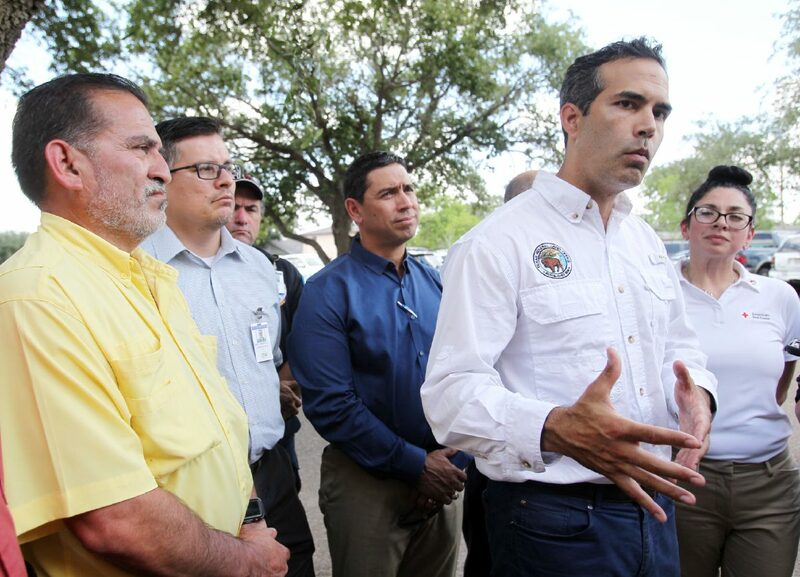 Flanked by city of Weslaco commissioners and American Red Cross employees, George Prescott Bush, Texas Land Commissioner, speaks with reporters at the First Baptist Church on Tuesday, June 26, 2018, in Weslaco. The area was hit particularly hard by flooding last week.